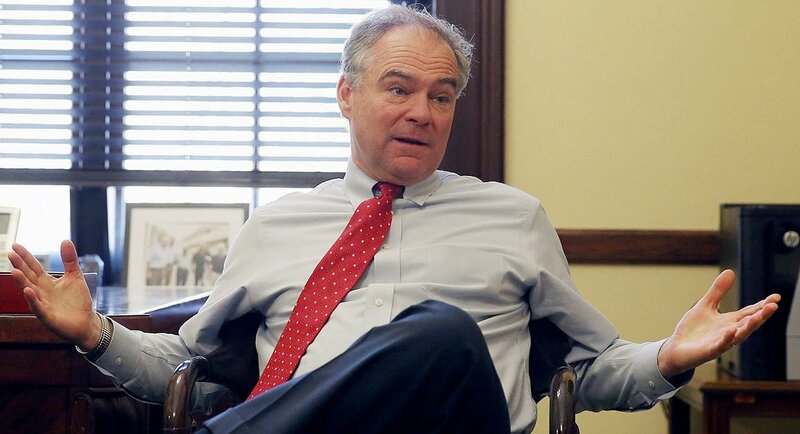 Face the Nation’s interview with Senator Tim Kaine (D) turned to vitriol instantly as Kaine launched into a tirade against President Trump, accusing him of bigotry, racism, and emboldening white nationalists. Kaine’s attacks came after the tragedy in New Zealand. Although the President condemned the shooter, Kaine still attempted to connect the events with the President’s rhetoric. In fact, Kaine accused the President of emboldening white nationalists and inciting violence. What do you think of it all? These Northern People in Virginia keep putting this Democrat LOCK STEP Voting Lifetime Policiton back in Office weather the vote he casts is good for Virginia or Not. Things have to Change in Virginia. This worthless sack of bovine affluence goes to the border between Columbia and Venezuela and talks about that and has yet to go to the border with Mexico? Yet he voted against the wall that President Trump wants , along with all AMERICANS, and has the Gaul to cry about the problems in South America? Obviously he cares more about them than he does about the U.S. citizens who are being killed every week by illegal immigrants coming across the border that he won’t close. Every time you or anyone else puts this negative info in the news, you are making matters worse by stirring in it. SIT DOWN AND SHUT UP with all the negatives. Is this really worth writing about? Kaine is not someone who has any credibility, in my opinion- He ran with Hillary Clinton in her bid for the White House and that should show anyone the kind of individual he is.. She appears to me to be one of the most dishonest people in politics and he surely shows his colors for running with her. Another thing, when someone breaks the immigration laws and enters a country illegal, they are invaders. If we have laws, they should be enforced by our so-called leaders!!!!!! Kaine is a tool of a failed ideology that limits individual freedoms in favor of government decisions. I would say Kaine, Waters, Omar, Cortez all use language that antifa uses. Why do you say these things Senator, they are hateful to the majority of American CITIZENS? I have little to No respect for this Guy, I live in Virginia and he hasn’t done much to help Us. If he’s not going to help the Situation he should Shaddup and go to the corner and drink His Moonshine.